Left this where I saw it but took a pic with my phone today so I could check it later & have just realised it is.. the 416 shape we dont have yet... hope its there in the morning.! Wow that is the first one that I've seen Kat, so there can't be many left out there. Yes I hope it's there for you, but we can always use this photo if it isn't. 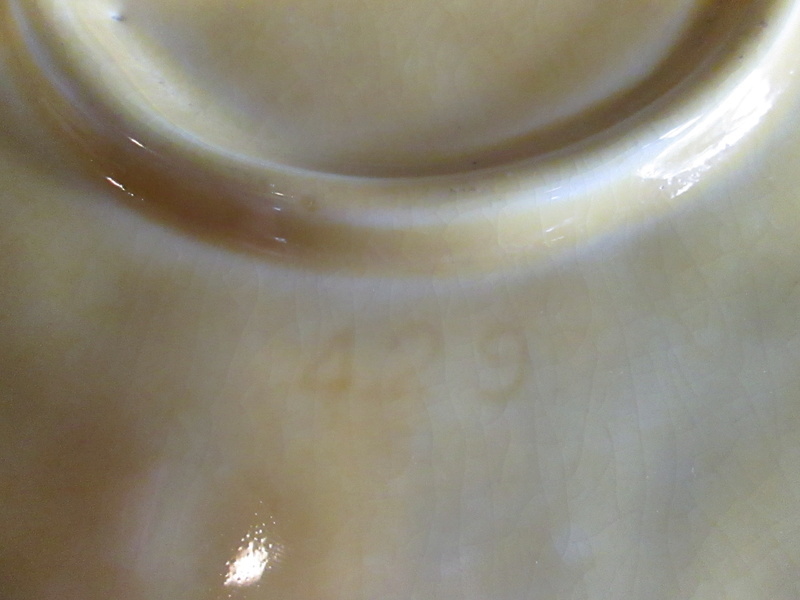 The plate is the 429 Salad Dish, which is hardly ever seen. Can you check if these have Wentworth Ware or Fancy Fayre on the bases? They seem to be a pair don't they? A big thank you to Jeremy who offered to go see if they were there first thing this morning as he lives in town. 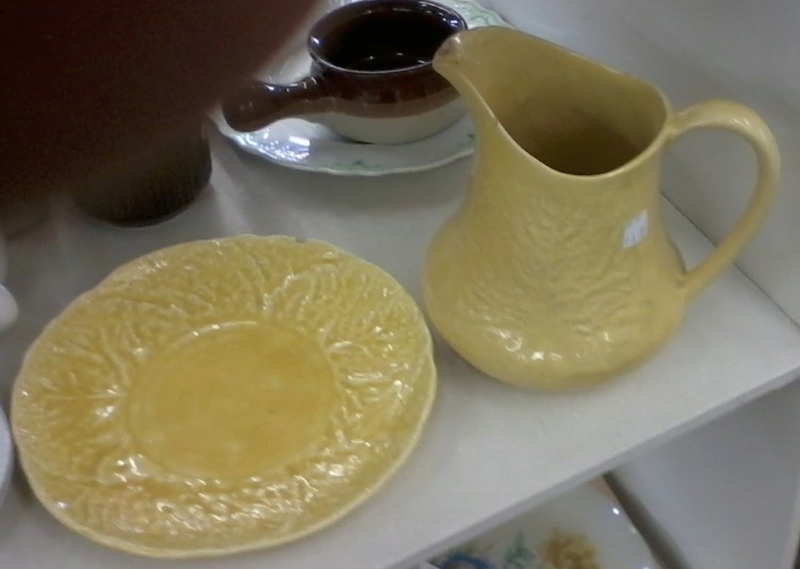 Shape 416 Leaf Jug has a cabbage leaf on it.... Slighly different yellows so I'm not sure if they originally came as a pair but the jug does fit on the plate... definately the same design set..both are unmarked, jug is 18.5cmh. I have added it to the Gallery after enhancing the pic to show up the decoration. 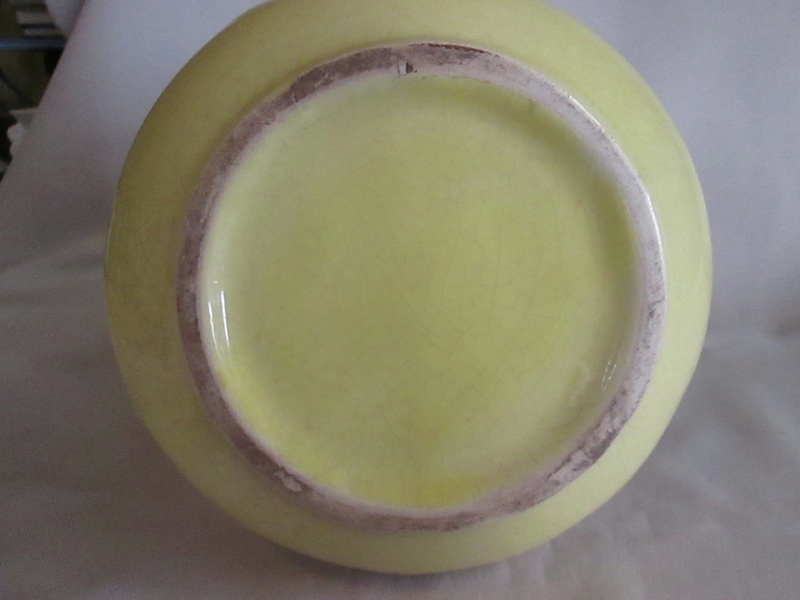 The plate in gallery pic is the same as this but Shape 429 is described as Leaf & Tomato? 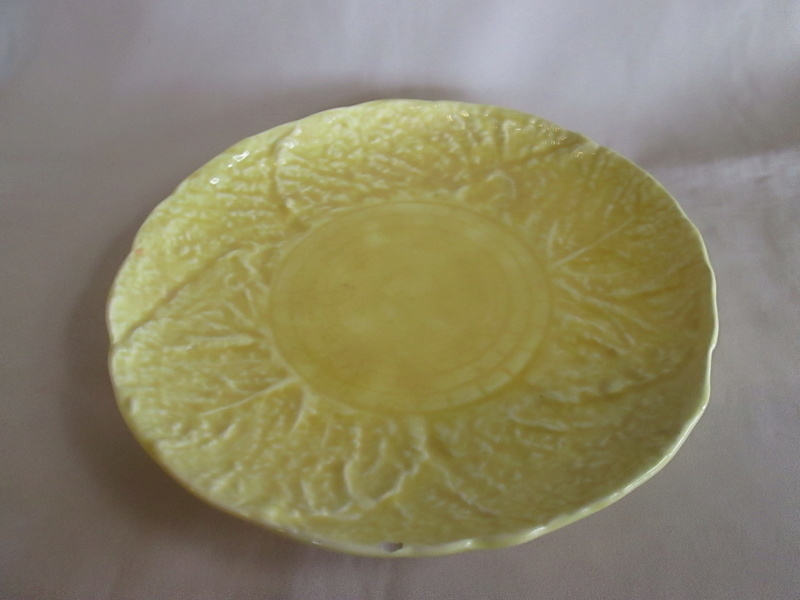 but this plate is cabbage leaves only... leaf & tomatoes pattern do come with cabbage leaves..this might be another shape number me thinks...but when I looked properly there is a number on the plate! So this is part of the leaf & tomatoe set. 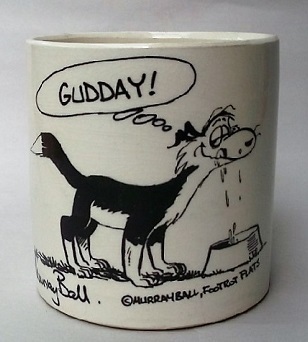 Though I can't find any posts about this I do remember Heather making similar comments when she posted the 429 plate. I would say that without a doubt it goes with the leaf and tomato pieces and leave it at that. 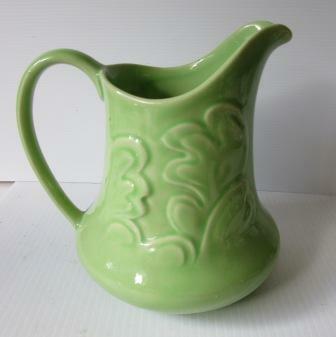 so I assume this Jug would be made also in Lime Glaze..like the similar Jug shape 417..maybe 417 is part of a set too? So I don't have any of that range at all. 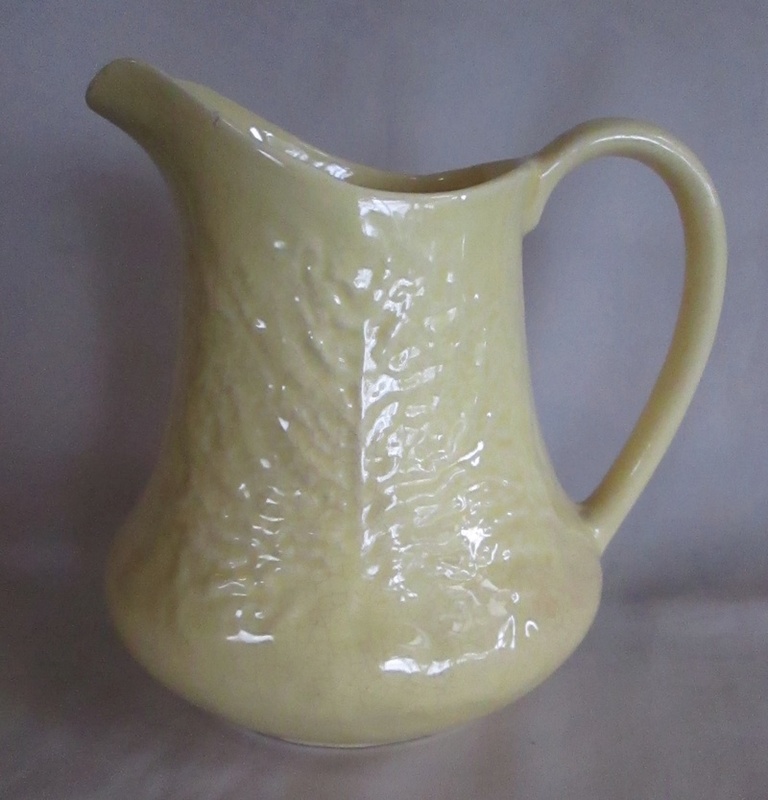 I cannot think of anything like that 417 Jug... is it offically called 417 Fancy Jug Ev? Yes that's what the records say Kat. Is the jug meant to sit on the plate? The 416 jug is a perfect fit for the 429 plate but the tomato feet of the colander/bowl sit on the cabbage/lettuce pattern, which doesn't look quite right. I suspect that they were used however it worked for people back in the day. 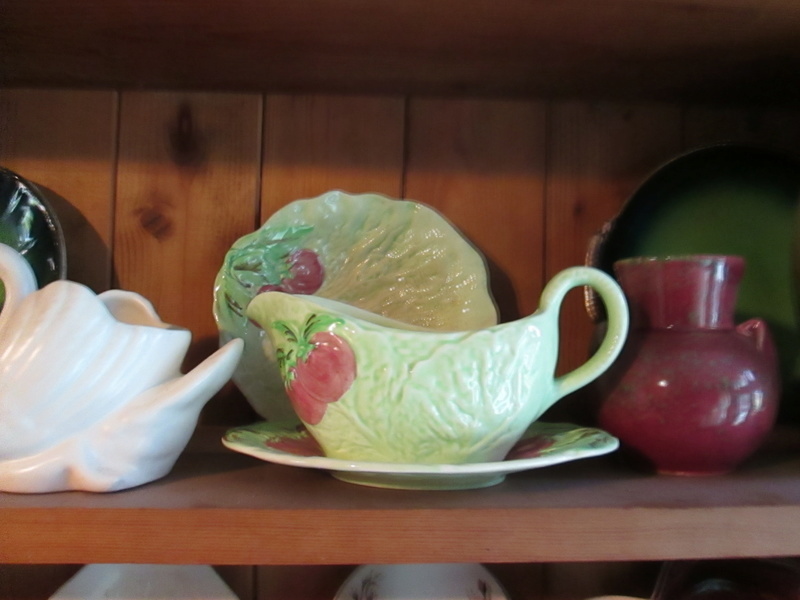 Obviously the jug and plate from the Sallies came from the same source, but then I guess Heather's set did too.